You are buying four (4) NEW springs. They are zinc plated steel headlight adjuster springs for various years and models of Chrysler, Dodge & Plymouth vehicles. 4pcs 5.75 LED Headlight. 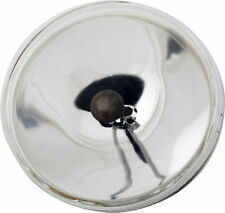 Shock and vibration resistant projector lens encased in an aluminum housing. Black durable aluminum housing. Shock-proof waterproof(IP65). We will very appreciate that you can leave us a favorable reputation if you like our commodity and service. 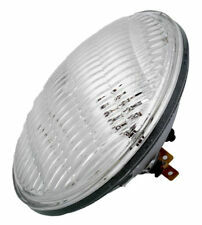 Newest Fantastic Design LED Headlight With DRL replaces halogen & HID headlight. 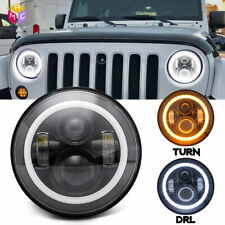 Jeep LED Headlight With White DRL 2pcs Jeep Wrangler headlights. 2pcs H4 to H13 conversion adapters. 2pcs H4 Anti flicker harness. 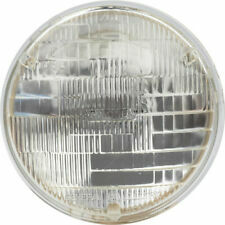 2 X 5 3/4"GLASS FACED H4 HI/LOW HALOGEN HEADLIGHT INCL. WHITE RUNNING LIGHT. 2 X 5 3/4 GLASS FACED H1 HIGH BEAM HEADLIGHTS INCL. THE LIST OF CARS IS NOT COMPLETE, SO MAYBE YOUR YEAR IS NOT SHOWING. Newest Fantastic Design LED Headlight With DRL replaces halogen & HID headlight. Jeep LED Headlight With White DRL Luminous Flux: 4800 LM@high beam, 3200LM@low beam. 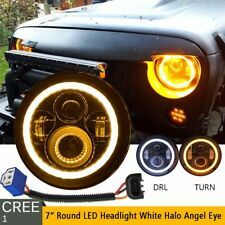 Jeep Wrangler LED Headlights 2pcs Jeep Wrangler headlights. May Require conversion for the H4 Bulb. Uses H4 Type Bulbs (also Included). Lens is made out of Glass. NOTE : All of turbo parts and performance may require slight modification in order to fits perfectly. You are buying ten (10) NEW springs. 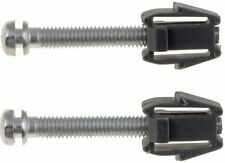 They are zinc plated steel headlight adjuster springs for various years and models of Chrysler, Dodge & Plymouth vehicles. 4pcs 5.75" LED Headlight. LED HEADLIGHT. 7X6 LED HEADLIGHT. 4X6 LED HEADLIGHT. LED LIGHT BAR. LED WORK LIGHT. RGB LED LIGHT. LED HEADLIGHT BULBS. 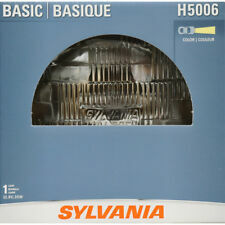 Wagner H5006 Low Beam Headlight. Condition is New. Shipped with USPS Priority Mail. High beam 50w 5000lm. low beam 30w 3000m. LED Chip: CREE. 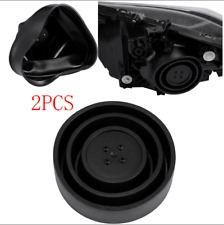 Note: Not fit for 2002 Harley Davidson Sportster, 2004 Harley Davidson Deuce. We will very appreciate that you can leave us a favorable reputation if you like our commodity and service. Part Number: 42187. Interchange Part Number : 42187. Part Numbers: 42187. Key Search Words - 2000 : Headlight, Adjusting, Screw, Screws, Headlights, Headlamp, Light, Lights. Headlight Type : Sealed Beam Adjusters. Item:super cool RGB Muti-color led headlight. The Halo has preset static colors and patterns to dazzle the crowd. Led Chip ManufacturerLED. ​ Led Power:super bright Led chip. 2 Pieces Led Headlights. Integrated cooling system with large rear cooling ribs for optimized heat dissipation. Part Number: HP3950. DISCLOSURE: PHOTOS DO NOT REPRESENT ACTUAL PART.